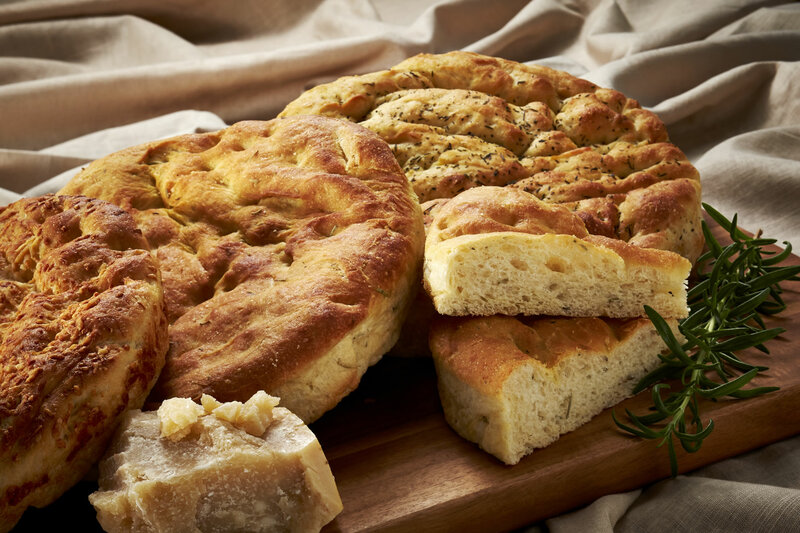 Our beautiful, light and tender Focaccia is like none other. With two great varieties, it delivers real flavor to sandwiches. Or top it with your favorite ingredients and bake as a pizza. Delicious! Available varieties are Herb, Rosemary Olive Oil (Kosher).